Daubeney Gardens. Photograph: Daubeney Fields Forever. A campaign group has urged the council to give greater protection to green space in its new local plan. Daubeney Fields Forever, which has previously clashed with the Town Hall over the community garden which it runs on Daubeney Road in Homerton, has voiced its concerns over the absence of a key passage in new local plan LP33. The paragraph, which is found in national planning guidleines but has been left out of Hackney’s blueprint, enables communities to identify and protect from development patches of open land that are important to them. Though the council has countered that the powers for community designation have not been removed, as they still exist at a national rather than a local level, the group remains concerned that planning committees will find it easier to dismiss community wishes under the new scheme. wildlife, historical significance or recreational value. “National planning policy allows communities a way to ensure these breathing spaces are not built over and lost. Designating them as local green spaces then gives them protection equivalent to green belt land. “The claim that policy on designated green space does not need to be included in the Local Plan because it is included in the national planning policy framework (NPPF) is disingenuous. 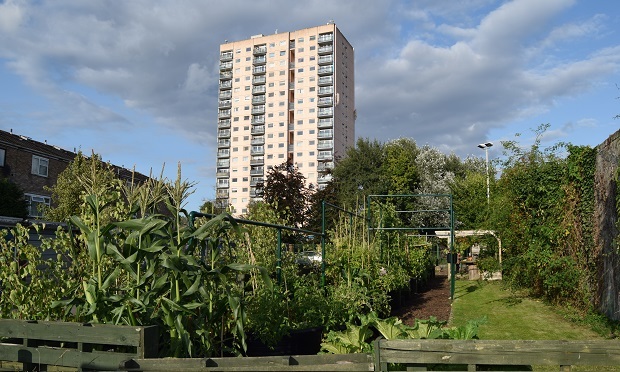 Tissier went on to welcome the council’s support for new food-growing schemes, with LP33 recognising that community gardens and green spaces benefit residents both physically and mentally. Submitted to the Planning Inspectorate on 23 January, LP33 will be the council’s key strategic planning document aiming to co-ordinate development across Hackney through to 2033. It is understood that local authorities are discouraged by central government from duplicating national planning policy in their own local plans, but that it can be taken into consideration alongside LP33. Cllr Feryal Demirci (Lab, Hoxton East & Shoreditch), Hackney Deputy Mayor and cabinet member for health, social care, transport and parks, said: “We recognise the value and importance of all green and open spaces in Hackney, and as a result are one of the greenest boroughs in London. “We understand the multitude of benefits these spaces bring to our communities, and as well as protecting these spaces are trying to increase their number through various schemes such as Parklets.